We wish the wonderful people of Cork City Missing Persons Search and Recovery all the best in the future. Their new Toyota Hilux was kindly & anonymously donated by a generous person, to assist them in their fantastic work. 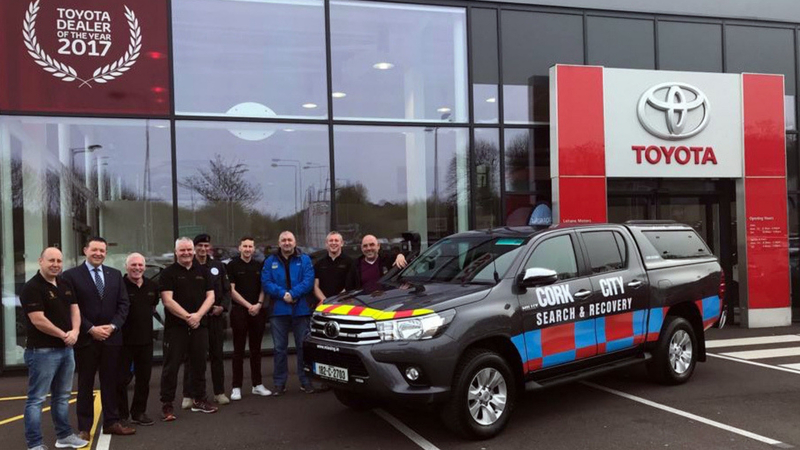 Cork City Missing Persons Search And Recovery is a voluntary group and registered charity who conduct land and water based searches for missing persons. Their services are free of charge and they will respond to callouts from Gardaí, Coast Guard, family members of missing persons, via their website www.missing.ie, their Facebook page and the National Missing Persons helpline. In recent weeks a number of volunteers from Cork City Missing Persons Search and Recovery completed a radio interview for the Sean o Rourke show on RTÉ Radio 1. 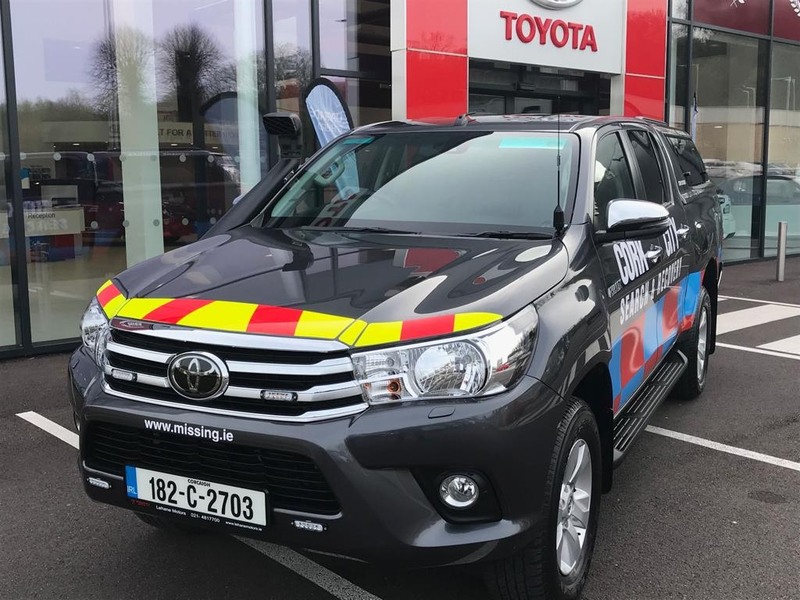 Shortly after the interview aired they received a call saying a person would like to make an anonymous donation and purchase a 4X4 for them which led them to receive their new Toyota Hilux for the unit from Lehane Motors. 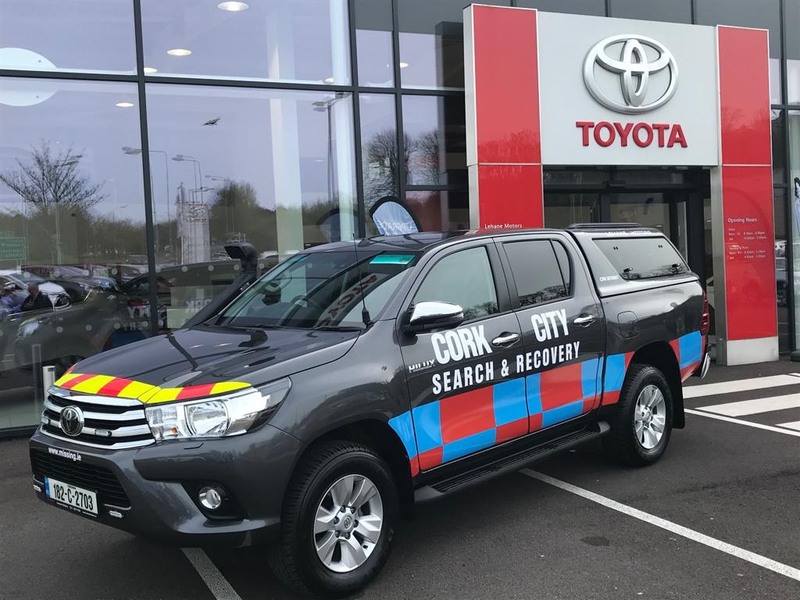 We would like to thank Mr, Richard Fowler for acting as intermediary between both parties and to our own Sales Manager Ken Horgan for sourcing and turning the Hilux into what it is today. If you would like to get involved by donating to this wonderful cause or if you have information about a missing person, or are concerned about a missing friend or relative please call the helpful volunteers on 0876772847 or email ccmpsar@gmail.com.